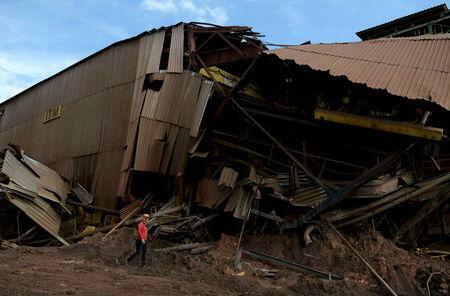 SAO PAULO (Reuters) - Executives at Vale SA, the world's largest iron ore miner, quashed efforts by Brazilian authorities to audit one of the company's mining dams months before it collapsed and killed over 300 people, a state prosecutor was quoted as saying by news website G1 on Wednesday. 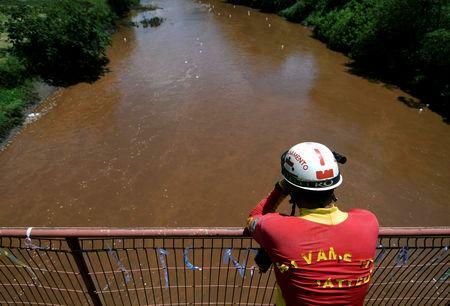 William Garcia, a prosecutor in Minas Gerais where the January disaster occurred, told G1 his office had filed subpoenas with Vale last June to review safety documents regarding Vale's dam. But Vale's lawyers responded in November arguing they had received positive reviews of the dam by an auditor the firm had hired, the German firm Tuv Sud, Garcia said. Tuv Sud "was used to make it more difficult for prosecutors to investigate and hide from public view the state of that dam, which was so critical that less than two months later it broke," Garcia said at an anti-corruption event in Belo Horizonte, the capital of Minas Gerais. In a statement, Vale said it had asked for the prosecutor's inquiries to be dismissed because it "fully trusted" that Tuv Sud's reports and the company's broader safety measures "proved the stability of the dam in accordance with the law." 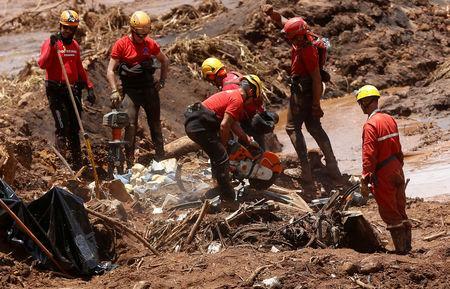 The tailings dam at Vale's Corrego do Feijao iron ore mine burst on Jan. 25, releasing a torrent of mining waste that buried workers and local residents in the nearby town of Brumadinho. Vale also said on Wednesday that an investment fund controlled by U.S.-based Capital Group had increased its stake to 5 percent of the company's common shares.